Megawins Casino bonuses, promotions and loyalties are on par with what leading online gambling operators offer. They stand out from the crowd with their flexibility in regard to payment methods and the addition of Bitcoin payouts. Online casino fans who seek a trustworthy operator that allows them to deposit and gamble in cryptocurrency are likely to enjoy their time here. Megawins Casino is licensed and regulated by the authorities of Curaçao and accepts players from all over the world. Those who reside in the US, UK and Spain are the exception, but prospective players who qualify are eligible for life-changing amounts. The casino works with six leading software developers including SoftSwiss, Endorphina, Amatic Industries, Betsoft, Ezugi and NetEnt. This is a home for slots, progressive jackpots and live casino games, fully compatible with smartphones and tablets. SoftSwiss, Endorphina, Amatic Industries, Betsoft, Ezugi and NetEnt software runs through the veins of Mega Wins Casino games. And if slots are what you are after, then this is the best place to get started. One can play exotic games that can only be found at a handful of online casinos, or the most popular titles. Twin Spin, Wolf Moon, Dead or Alive and EggOMatic are the less known but highly profitable slots. NetEnt is the main supplier of Megawins Casino progressive jackpot games, with millions up for grabs at any given day. The other software developers have stepped up and provide an alternative to those who want to try something different without cutting down on winnings. Greedy Goblins and Cosmic Fortune are shining examples of progressive jackpot games that are only available and selected casinos. Betsoft games stand out from the crowd with their state-of-the-art visuals and 3D graphics. Megawins Casino video pokers are not limited to All American, Deuces Wild, Jacks or Better, Aces and Eights, Bonus Poker and Tens or Better. These are indeed the most popular games of this genre, but players can experience the thrills of other types of video poker. There is also a section dedicated to the fans of specialty games, such as lottery, Dice, Keno or scratch cards. American Roulette, French Roulette, Blackjack Multihand Pro, Caribbean Hold'em and other popular table games can be played here. Mega Wins Casino provides players with the option of playing all these games against highly trained and friendly croupiers. There are different tables and plenty of stakes, so both amateurs and professionals can get their fix. Those table games that can only played against the random number generator are also available on mobile devices. The RNG is audited for fairness and all the games provided by SoftSwiss can be verified by players using the “Provability” widget. This means that players can put all their doubts and worries to rest and enjoy every round they play. Megawins Casino promotions are the icing on the cake, providing the perfect incentive for prospective customers. If you’re a new member, then you will qualify for the 110% sign up bonus with 35 times wagering requirements on slots. The more you deposit, the bigger the reward, while the play through demands stay the same. Just keep in mind that video pokers, table games and some specialty games only count for 10%, as opposed to slots who stand at 100%. The generosity of the gambling operator doesn’t end with the Megawins Casino welcome bonus. The second deposit is matched by 50%, the third by 25% and the fourth by 15%, while the wagering requirements stay the same. Players who follow through with four consecutive deposits can create a healthy bankroll right from the start with the casino offering half of the money. Just make sure to go over the list of excluded countries to see if you are eligible for these freebies. Megawins Casino VIP program is a strong argument in favor of persevering, if things don’t go according to the plan right from the start. All players who wager real currency will collect points at the end of each gaming session. These can be converted for cash or bitcoins and players enjoy better conversion rate as they move up the ladder. Each new level will unlock bigger rewards, so it pays off to persevere. With so many bonuses, generous promotions and provably fair games players have a real shot at making big profits. They will be able to withdraw these winnings via Bank Wire Transfer, Maestro, MasterCard, Neteller, PaySafeCard, Visa, iDEAL, Sofortuberwaisung, Trustly, Skrill and Bitcoin. The thing these payment methods have in common is that no commission is charged and there are subject to a pending time of less than 72 hours. There is a withdrawal limit of €4,000 per transaction and the waiting time ranges from 12 hours for e- wallets to three days for bank transfers. Any questions regarding the Megawins Casino payment methods, the games or bonus eligibility will be answered by the guys at customer support. One can get in touch with them 24/7 using the live chat option or the conventional channels, such as email and telephone. Don’t forget about the FAQ section where you can learn more about the casino and all its games. 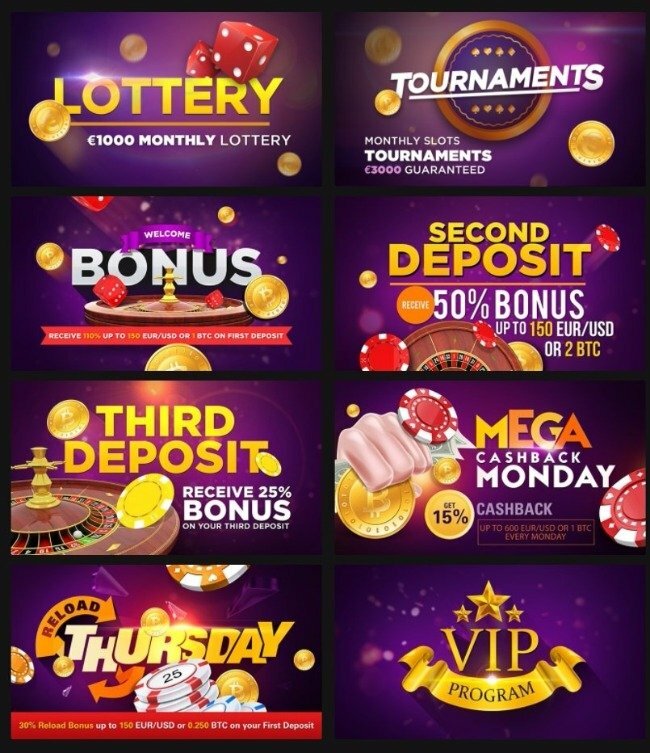 megawins.com is a fine example of a brave new casino willing to pay attention to what the existing and prospective customers demand. 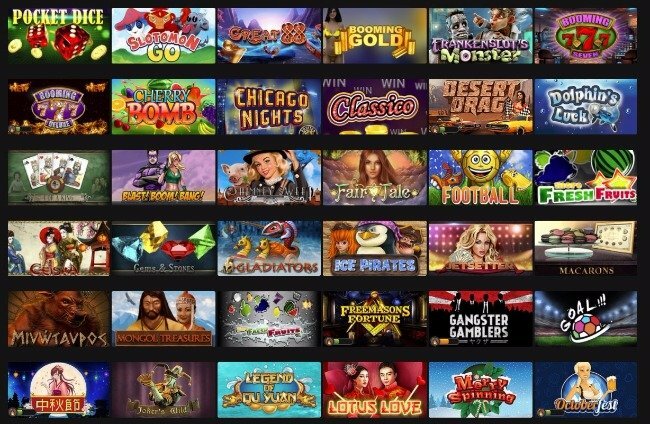 By working with six leading software developers, they are able to provide hundreds of games, including slots that can’t be found anywhere else. It helps a lot that all the games they offer are provably fair and have a higher than average payout ratio. A dedicated and always available team of customer support specialists can help players make an educated decision when joining.